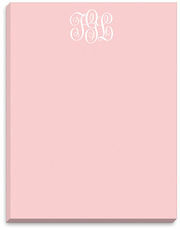 Personalized Big & Bold notepad with your monogram in the upper left corner. Padded notepad measures 8.5" x 5.5" and includes 200 sheets. Flat printed in black ink only as shown. Notepad is secured..
A white notepad that features your initial and name. 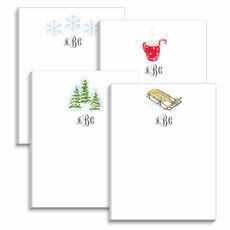 Notepad consists of 100 sheets. Size of sheets is 4.875" x 7". Flat printed in ink colors as shown with your choice of typestyle for..
A Stationery Studio exclusive! 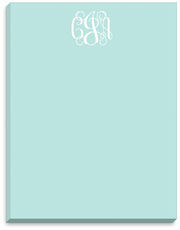 A perfectly adorable gift for you or a friend. Size 5.5" x 8.5", 100 sheets per pad. Flat-printed in ink color as shown on a white high quality paper. Your choice of.. 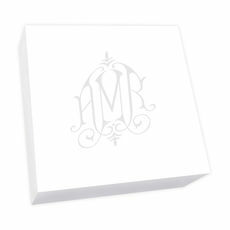 The Watercolor Monogram pad features your monogram in a modern monogram typestyle. 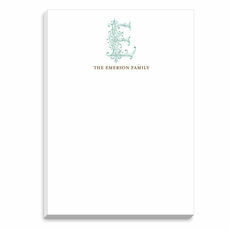 The over image registers as a bold graphic but the soft watercolor effect allows your written messages to take center..
A white notepad that features your monogram and name. 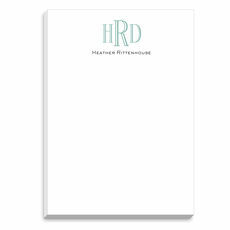 Notepad consists of 100 sheets. Size of sheets is 4.875" x 7". 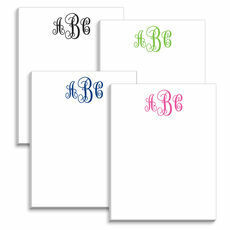 Flat printed in ink colors as shown with your choice of typestyles for..
Fun and trendy notepads! Includes 1 pad of 100 sheets. Size of sheets is approximately 4.125" x 6.375". 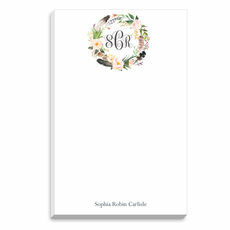 Flat printed in your choice of personalization style and ink color. 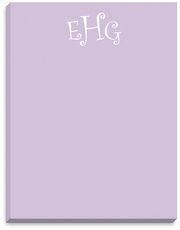 Blank white..
A white notepad that features your initial and name. 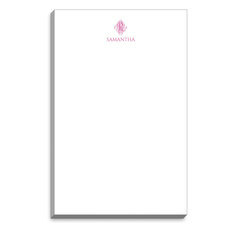 Notepad consists of 100 sheets. Size of sheets is 4.875" x 7". Flat printed in ink colors with script initial format as shown. 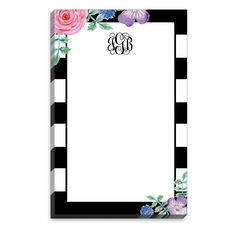 Your..
A white notepad that features your monogram and name. 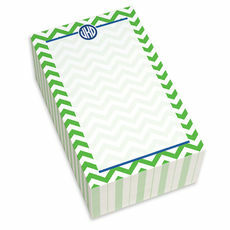 Notepad consists of 100 sheets. 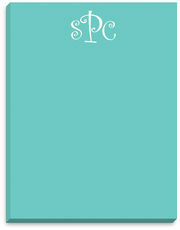 Size of sheets is 4.875" x 7". 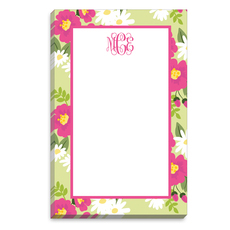 Flat printed in ink colors as shown with your choice of monogram and.. 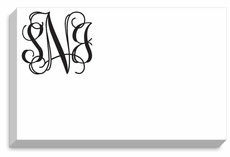 The Delavan Monogram pad features your monogram in a script monogram typestyle. This notepad includeds 250 padded sheets. Pad is 6" x 6". 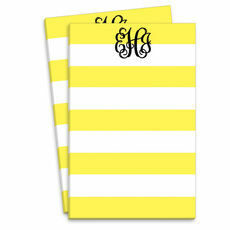 Personalization in your choice of flat ink color on..